A Gramaphone-robot-car that plays music backwards whenever it reverses, translating spatial direction into sound. This project was conceived as a surrealist response to the sound made by vehicles when they reverse. I wanted to explore the concept of Habitat by translating spatial awareness into sound using the direction of a 78rpm recording. Bats and dolphins have sophisticated systems for gaining spatial awareness through sound. They use this for both communication and navigation. Humans also use sound as a spatial awareness tool in every day life, from ambulances, to ticket machines, to bleeps and clicks on smart phones, but rarely use it as an environmental cue to enhance a sense of direction. 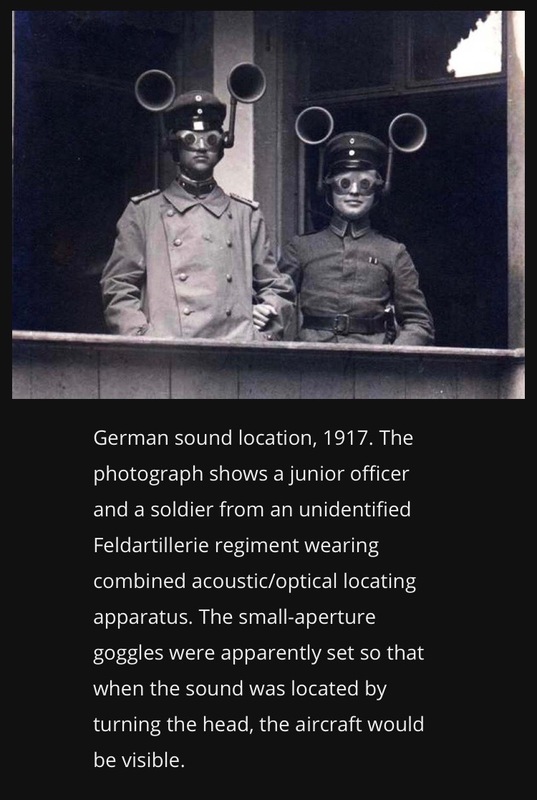 Recorded sound lives on a timeline which can be manipulated. We can slow it down, we can speed it up, or we can rewind it. One of the more interesting discoveries during this process was that although it was translating Space into Sound, the real marker was the sense of Time. A record played backwards is still moving forwards in time, it’s only the playback that is being reversed. It’s creating a new "forward sound" by rearranging the recording in the opposite chronological order. It was important to this project to translate from digital to analogue without converting back to an electrical signal. The arduino creates a digital pulse out of physical space using an HC-SR04 ultrasonic sensor, which powers a motor that turns an analogue recording into sound, through analogue playback. Tapes, cd's and reel to reel were considered but rejected, as they all required electronic amplification to emit sound. 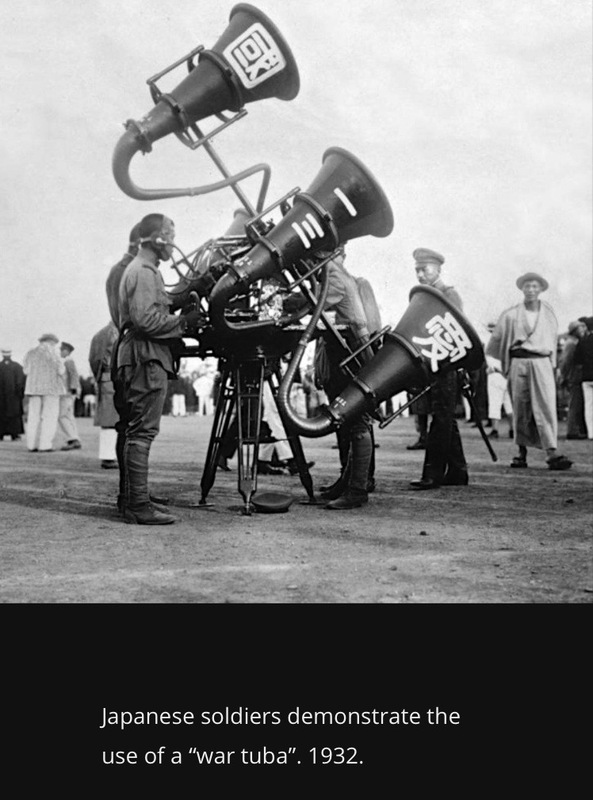 The magnification of the gramaphone cone/horn, goes both ways, it transmits but it also receives. It is a mouth, but it is also an ear. The original phonographs both recorded and played sound. 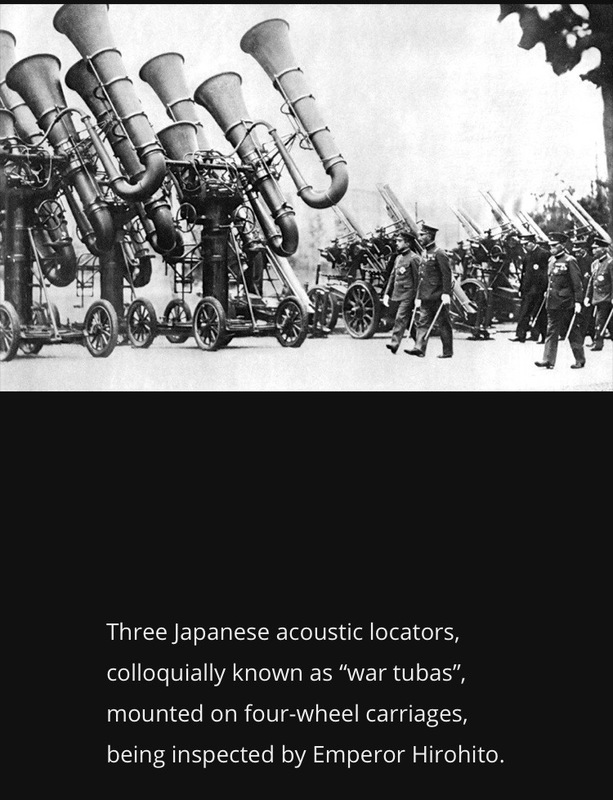 During World War II, before the invention of radar, acoustic locators, also called War Tubas, were used to detect oncoming planes (see reference below). This became an intrinsic part of the aesthetic of the piece which seems to belong in a dystopian den, somewhere betwen Dada and a Terry Gilliam film. Other inspiration for this experiment came from William S. Burroughs Cut Up Technique, using reel to reel recordings (1968); Christian Marclay's experimental use of the turntables in the 1980's and Conrad Shawcross' Space Trumpet (2007). The potential for this work lies in creating a pod of these surrealist contraptions and allowing them to create a cacophonic sound-collage out of their physical surroundings.